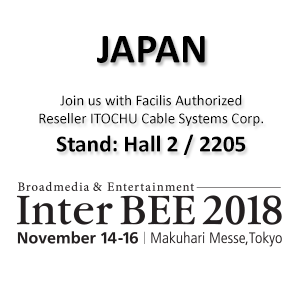 Join us with Facilis Authorized Reseller ITOCHU Cable Systems Corp at Inter BEE 2018. November 14-16, 2018 at Stand #3217 / Makuhari Meese, Tokyo, Japan. Register today!